I got an email from one of our LIFEGroup leaders this week. They are using the questions that build on the sermons in the promise series. As a group, they identified some ways to measure their spiritual growth. This is a great idea, you can check out their finished product at the link below. This is something our life group came up with after meeting Sunday night and going through the Discussion Questions. We hope to use this to sharpen each other and offer some accountability to each other. It also allows for privacy for those who may not want to share openly. As a LIFEGroup driver it seems like most of the time we have more questions than answers. Questions like, what do we do about childcare? How do we find missional activities to participate in? What do I do if a person in my group has a serious problem that we can’t handle? How do we find good material to study? What is LIFEGroup registration all about? What do I do about the loudmouth who is dominating the group? We’re putting together a resource to help answer some of those questions. You can help by sharing the questions and concerns you’ve had as a LIFEGroup driver. Just email me with any and all questions you’ve had related to LIFEGroups. The more questions and concerns you share, the better the resource will be. Why Should People Join Your Group? Who's your audience? (what stage of life are most group members)What do you want them to do? (what are the expectations of group members? )Why should they join your group? (help them know what your group IS and IS NOT)Where and how should you promote your group? (what kind of people should you invite? )What am I praying for? (are you praying for future group members? 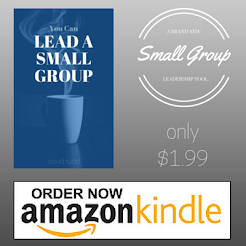 )*these questions are adapted from Group Publishing's Small Group Ministry in the 21st Century.